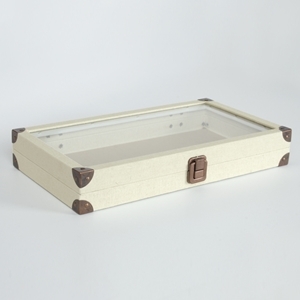 This beautiful linen jewelry case with glass top is the perfect solution for displaying product. Features a glass top with antique bronze clasp and corners for added strength and durability. • 14-3/4" x 8-1/4" x 2-1/8"